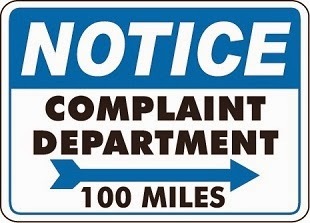 declared Oct. 28, 2014 "Complaint Free Day," and the entire month of October dedicated to establishing a "Complaint Free Community." $4,247.59 last year, or an average cost of about $50 per request. Your LakeCountyEye has now been told to expect the Village of Hawthorn Woods to declare a "FOIA Free Month" and establish itself as a "FOIA Free Community". That's all your LakeCountyEye has. Move along within 5 business days.